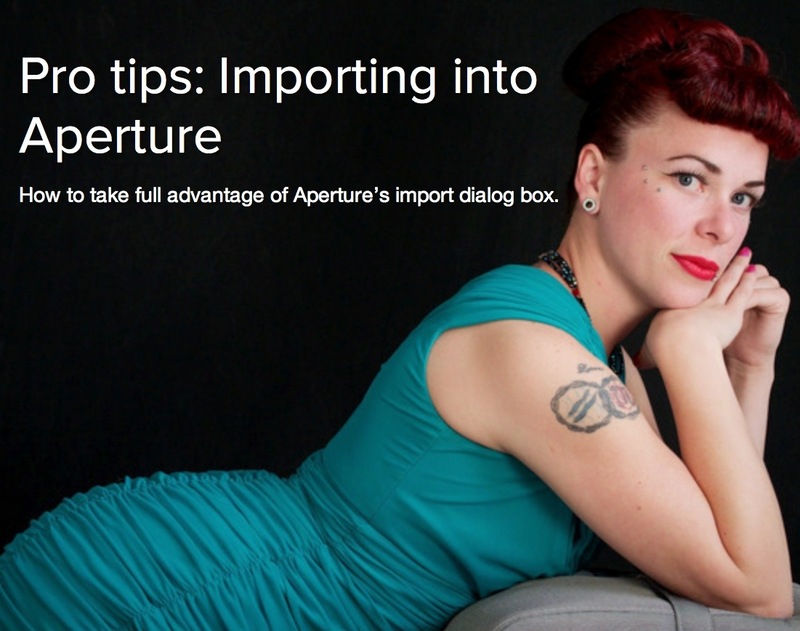 Photographers: Do you really want to lug your computer everywhere? My camera bag has become so much lighter since I started carrying an iPad when I travel. And yes, you can organize, edit, and share your pictures, just as easily, if not easier, than before. In my new book, iPad for Digital Photographers ($13.45), I explain the workflows I've developed to upload, organize, edit, and share images while working virtually anywhere in the world. Using inexpensive, but powerful software on the iPad, plus the latest in wireless technology and cloud services, you can create and publish beautiful images. And it doesn't stop there. I explain how to run your entire photography business using the iPad. And yes, you can integrate all of these accomplishments with your Mac or Windows computer. Nothing will ever get lost or out of place. 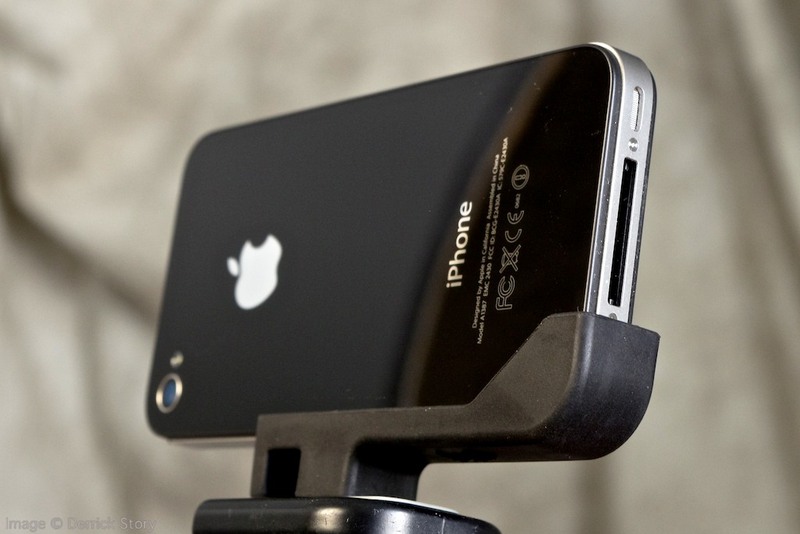 You'll have a workflow that streams from camera to iPad to your computer back home. Sound too good to be true? It isn't. The tools are here now. iPad for Digital Photographers is available as a paperback book or Kindle Edition from Amazon, or in the iBooks Bookstore for the iPad. Get more out of your iPad than you ever imagined possible. If you want to experience refocusing a picture after you've made the exposure, take a look at FocusTwist, available for $1.99 in the iTunes App Store. Once you've made an exposure, as explained in the graphic here, you can tap on different areas of the image do determine where the focus should be set. 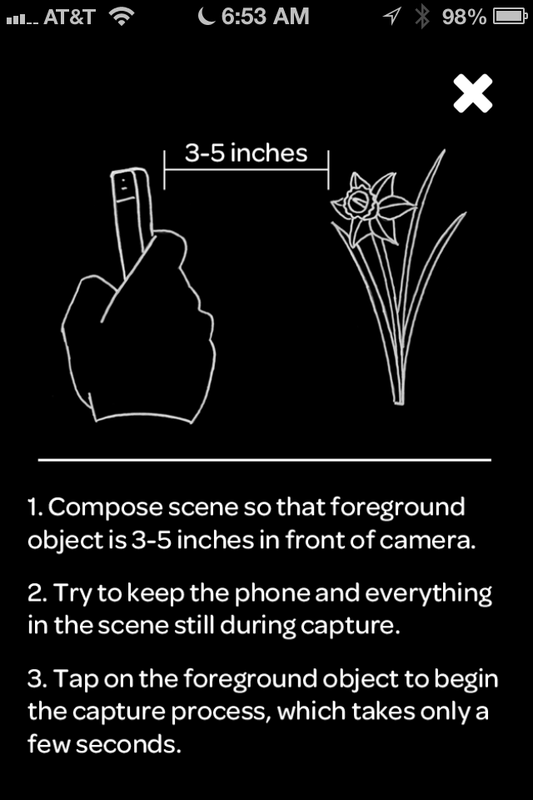 It's an engaging way to experience Lytro-like refocusing with a device you already have. Well done and entertaining! Here's an animated video showing the history of photography created for TED Education. Worth a watch! 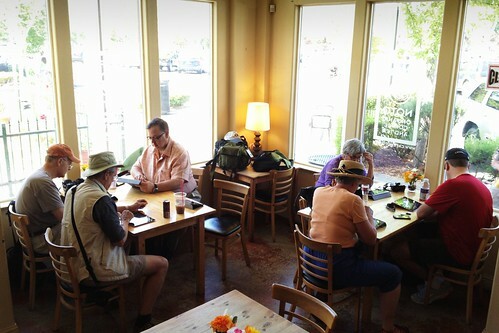 Here's our crew hard at work on their iPads at Cafe Noto in Windsor, CA during the iPad for Digital Photographers Workshop. Great day to be out and about! 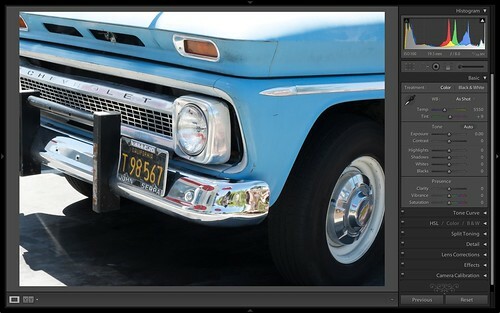 Adobe made a little noise with the release of Lightroom 4.4 and its working closely with Fufifilm to provide top notch decoding of .RAF files from Fujifilm X-Pro1, X-E1, X100S, and X-20 cameras. This lead to some speculation that Apple would be left out in the cold with Raw decoding for X-Trans sensors. Well, apparently not. Apple today released Raw Compatibility Update v4.05 with support for these very same cameras. So how do these two applications stack up for Fujifilm camera owners? 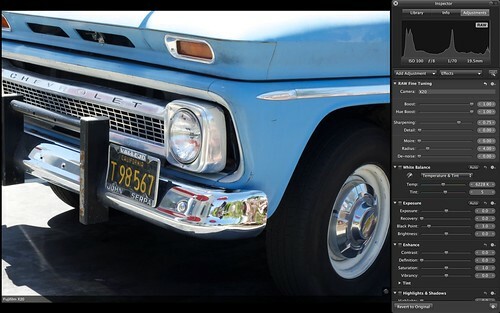 A full resolution Jpeg export from a decoded RAF file in Aperture 3.4. Screenshot of unedited .RAF file in Lightroom 4.4. A full resolution Jpeg export from a decoded RAF file in Lightroom 4.4. In my opinion, both applications do an excellent job of handling .RAF files. And the fact that both Apple and Adobe had the RAW updates so quickly after the release of the new X-Trans cameras (X-20 & X100S), says that both are taking these cameras seriously. Well done. The solution to dealing with strong, directional light that's determined to cause flare in your photograph may already be sitting in your camera bag. If you have a RougeFlag Bounce Card that you typically use for bounce flash, you can adapt it to serve as a robust lens shade too. This particular FlashBender includes a black cloth "flag" that attaches over the white reflective surface. I tend to leave my flag attached so I don't lose it. When I'm using the RougeFlag for bounce flash, I remove the black cloth and store it in my bag. 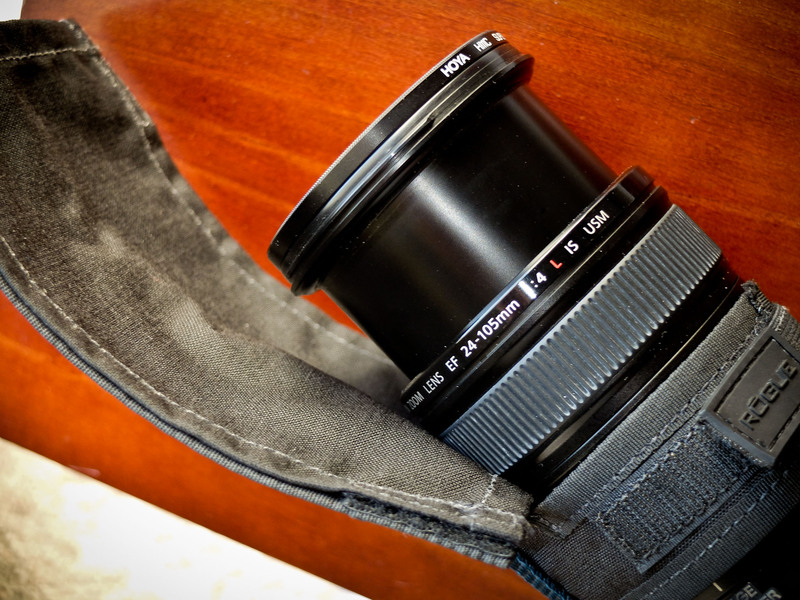 But, if I want serious flare protection for my lens, I leave the black cloth on and attach the FlashBender to my lens using the adjustable strap. 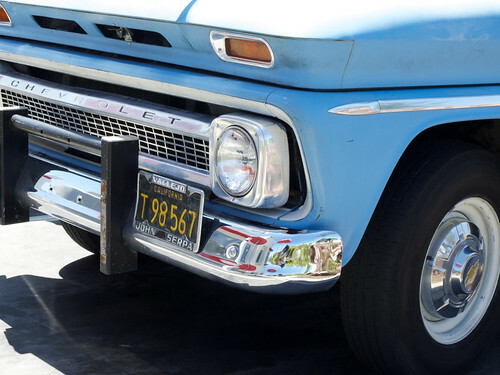 In this photo I'm using it with a Canon 24-105mm f/4 L zoom on a 5D Mark II. Unlike a traditional lens hood, the FlashBender can be positioned exactly as needed to block the sun from striking the front of your lens. I love multi-use. This $29 bounce flash accessory has already paid for itself many times over. The fact that it can help me fight flare too is just a sweet bonus. Some pictures just look better in Black and White. And even though there are plug-ins and specialized programs to help you create B&W images, you can produce great stuff using the built-in tools in Aperture and iPhoto. In this 3-minute movie that I created for my latest lynda.com title, Using iPhoto and Aperture Together, I compare the B&W conversion techniques in both iPhoto and Aperture, and add a few tips too. Take a look, then make your B&W masterpiece tonight!